With the Columbia Gorge Paddle Challenge only days away and the Pacific Paddle Games right around the corner we thought it best to supply you with some tips that can help you have a successful race come race day. 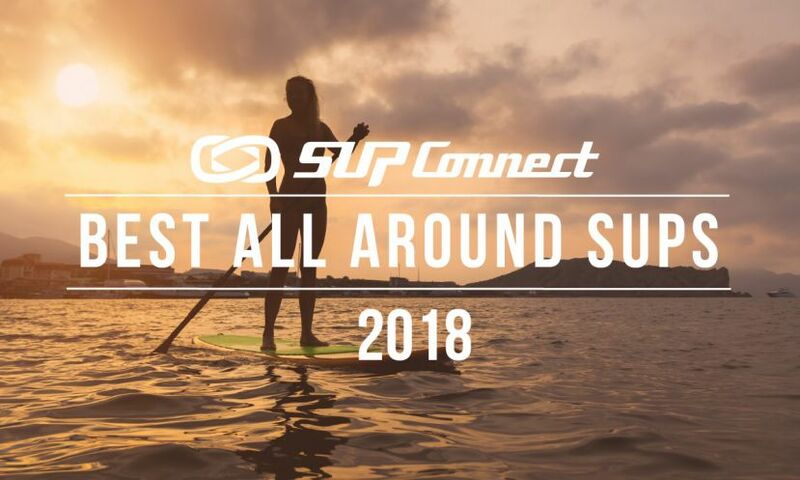 We checked in with the best-of-the-best stand up paddle boarding pros including Kai Lenny, Boardworks’ Mo Freitas, Chuck Patterson, Starboard's Connor Baxter, Lina Augaitis and Annabel Anderson to name a few. We took what they had to say and came up with 5 tips to help you have a successful race. Want to know the key to success when it comes to performing well during a stand up paddle race? Look no further because we've aggregated improvement tips from some of the best SUP racers on the planet. Stepping up your game and performing at a higher level takes more than just a lot of time on the water. Here are the top 5 tips on how you can improve your performance during a SUP race. #IPADDLEFOREQUALITY Where Are We Now? It was October 20, 2017. Three days before the 2017 Red Bull Heavy Water, one of the world’s most prestigious stand up paddle races and the APP World Tour’s final stop. The invite-only event had garnered the attention of the competitive SUP community as many of the world’s top stand up paddlers were ready to battle for the crown in intense conditions. Annabel Anderson of New Zealand, the fastest and world’s top-ranked standup paddle board woman each year since 2012, will take a break in early 2018 for surgery to address a “long-term and horrifically painful ailment” and to fully recover from a serious concussion sustained earlier in the year. Champion stand up paddle boarder (SUP) Annabel Anderson is the latest sports star to join Air Tahiti Nui’s ambassador ranks with the New Zealander looking forward to further finessing her sport in one of the world’s leading paddling destinations, the Islands of Tahiti. The 2017 Pacific Paddle Games hit the shores of Doheny State Beach early on Saturday, September 30. As sunrise approached, fog came creeping in along the Southern California Coast, but just as races began, the gloom burned off and the sun broke through, setting the stage for a beautiful PPG weekend. The 9th Annual OluKai Ho‘olaule‘a made event history as Kanaha Beach Park was the start and finish of this prestigious paddling race. Australia’s James Casey and New Zealand’s Annabel Anderson took home victories in the Elite SUP Divisions. In one of the most action-packed races of all time, defending champions Titouan Puyo and Annabel Anderson were crowned the 2017 Carolina Cup Champions. In a recent interview, Annabel Anderson shared her thoughts about the upcoming Cup competition, how she maintains her dominance, a glimpse into other aspects of life in New Zealand, and how she feels about returning to the world’s largest gathering of professional and amateur racers in Wrightsville Beach. Why did Annabel Anderson run across the finish line with the "pink panther" board from Lahui Kai when she won her 4th consecutive Carolina Cup Graveyard Race?…Because she can, thanks to the LiftSUP handle! All of us in the Lahui Kai family would like to congratulate Annabel Anderson and Kelly Margetts on their amazing finishes at this year’s Carolina Cup. The grueling 13.2 mile, 2+ hour long paddle board race took our very own Annabel Anderson to yet another 1st place victory, securing that title again for the 4th year in a row! This girl can’t be stopped. Kelly battled hard with the world’s best paddlers and took home a strong 5th place!